For lovers of Kite Surf and SUP (Stand Up Paddle) South West Sardinia is the ideal place to practice these water sports. In the beautiful location of Porto Pino (just 36 km away from Sant'Antioco), falling in the municipality of Sant'Anna Arresi, with the beautiful sand dunes to frame, you will find an excellent Kite Surf and SUP school with serious, professional and qualified instructors. 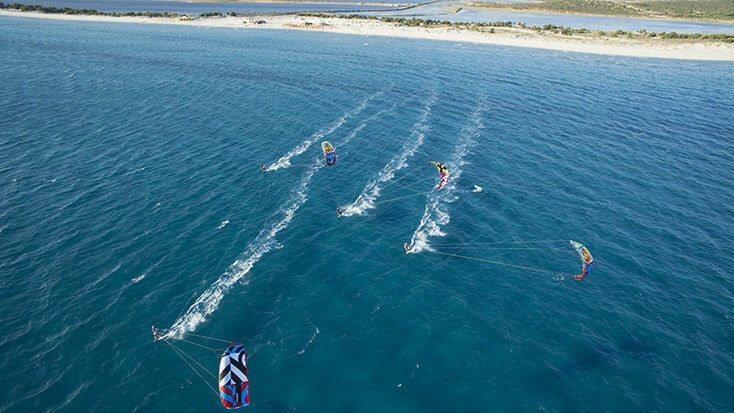 In collaboration with Lido Oasi Azzurra, the school has a kitezone with its launch lane. The Lido is open from 01st June to 30th September. In other periods (from April to September) the school operates as a traveling school in the spots of Is Solinas, Porto Pino and Portoscuso. Easy Move Transfer and Tours is available to accompany the athletes, even with the eventual equipment in tow, from the international airport of Cagliari-Elmas (CAG) to their accommodation and / or for the accompaniment from their accommodation to Kite Surf and SUP school in the beautiful setting of Porto Pino.